Turns out I ordered the XCx but they sent me an unmarked A9778062 which is the centerstand for the shorter XRx. Third strike and they lose the Australian distributorship. Hello Fellow XCx centre stand lovers. I pulled a the same shoulder again last night putting it on the centre stand - I've watched the videos, read the posts and still find it difficult. I had a GSA Adventure previously which was a heavy beast with a full tank and that was easy by comparisson. It makes me wonder if I've got some mutant cast off part from my Triumph dealer? I've read about the various versions but don't have a clue how to idenbtify what I've got and is it correct. 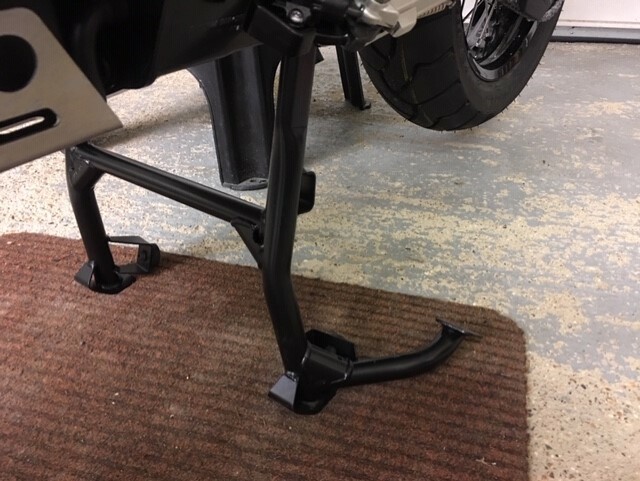 My bike is a brand new 2018 model and the dealer fitted this stand before collection. I've attached a few pics in the hopes that someone can shed some light. FYI, the back wheel is about 2" (5cm) off the ground when I finally get it there. Surprisingly it's quite easy to get off the stand. My 2018 is also very hard to get on the stand. Not easy at all, especially with luggage on. A hard push down on the lever and a pull up on the area of the passenger grab handle required. That is about the same clearance as I get. Looks about right. My K1600 is way bigger and heavier but much easier to get onto the stand. Just a Triumph thing I guess. Haha - I’ll strap a scaffold pole to my panniers. 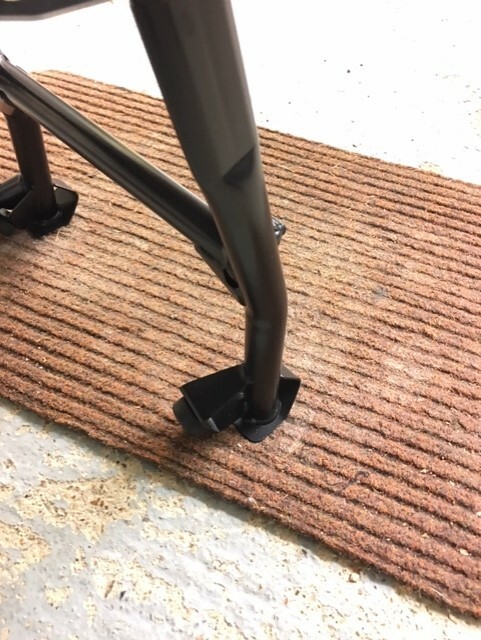 I’m sure it would do the job but making do feels wrong on a brand new vehicle - it’s not their first rodeo and sloppy engineering should be corrected. 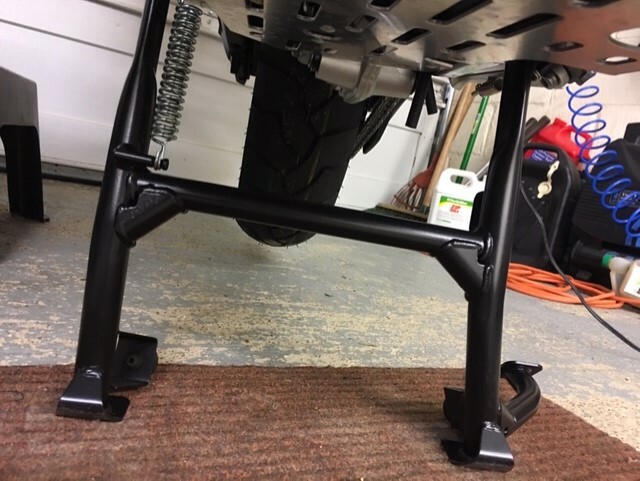 About 2" off the ground is normal for the rear wheel when a bike is on the centre stand. I think the issue is just poor engineering. Whoever was responsible for the original engineering f^*ked up the measurements and angles and Tiger owners the world over have been paying for his or her mistake for the last 8 years.